What is the difference between water purification and water filtration? Water filtration is essential when you are living off the grid or need to get clean drinking water to use. However, you need to make sure that the water filtration system you are using is effective in clearing the water of harmful bacteria. Water filtration is the process of cleaning water of impurities through a homemade filtration system, with chemicals or by using a biological process. It is important to remember that water filtration only focuses on removing impurities such as sand and living organisms. Filtration systems can be permanent or portable and the size you need will entirely depend upon the amount of water you want to filter. When filtering water through a filtration system, you need to keep in mind that the water may look cleaner, but there will still be a lot of chemicals and potential viruses left behind, still making it unsafe to drink. Although similar to water filtration, water purification focuses more on removing all impurities from the water. The impurities focused on in water purification are those that relate to the overall safety of the water such as biological contaminants, viruses, chemicals and other unseen materials. 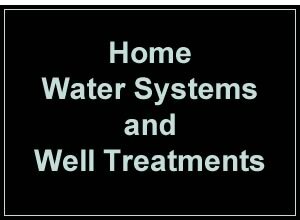 Water purification works as a chemical process usually using either iodine or chlorine. It is important to remember though that simply purifying water cannot always remove other impurities found in the water. When living off the grid, it is important to know that you will need both a water filtration system and a water purifying system to ensure the water is clean and safe from any harmful bacteria that can cause serious illnesses. Our team at Hydro Solutions Florida has great experience in water treatment systems and well drilling used for filtration, purification and irrigation. We can also help you with system installation, repairs and monthly maintenance services for water filtration and purification, swimming pool pumps and home irrigation systems. Should you have any questions about our water filtration methods, do not hesitate to call us or visit our stores for more information.